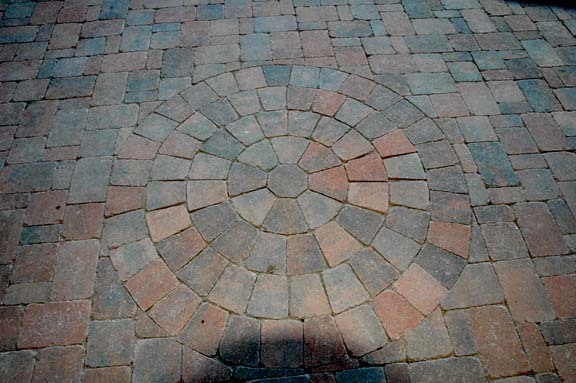 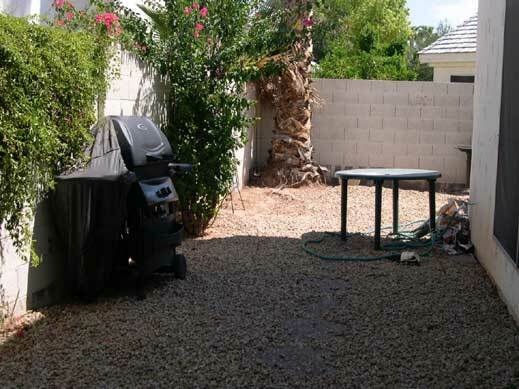 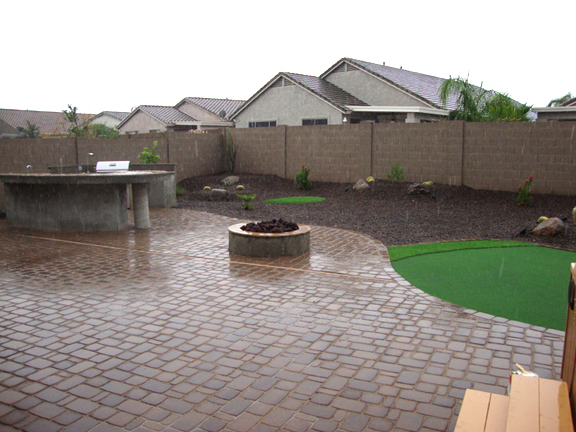 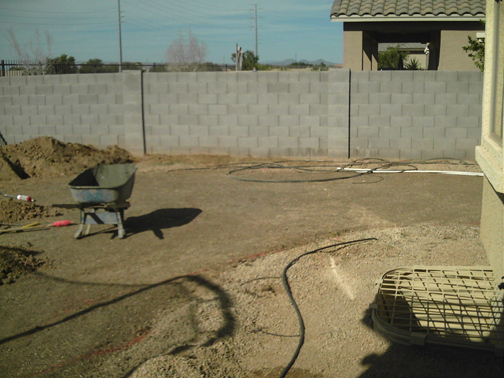 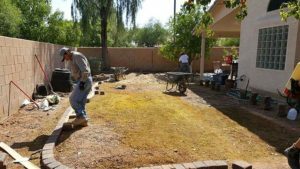 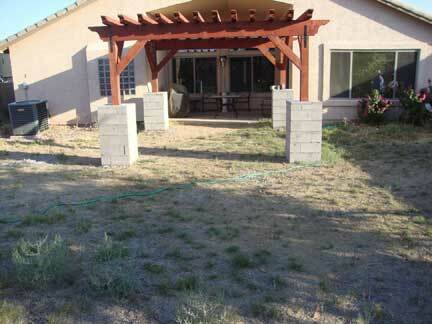 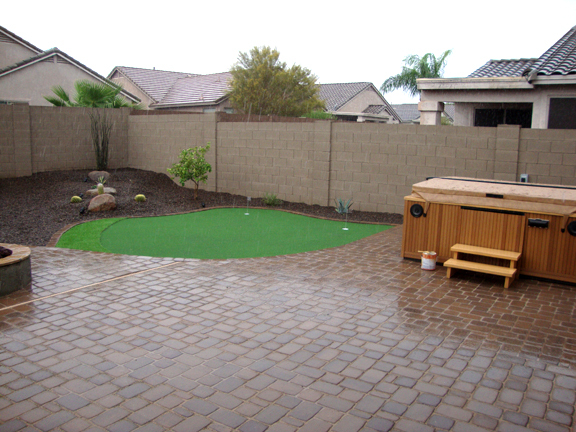 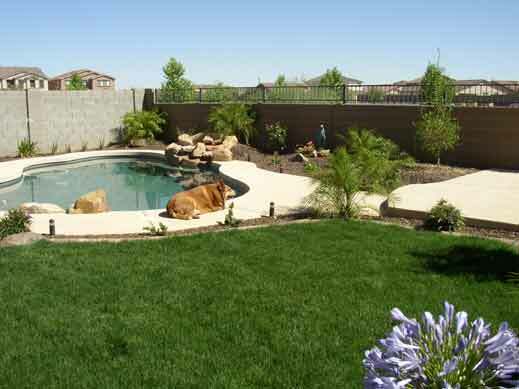 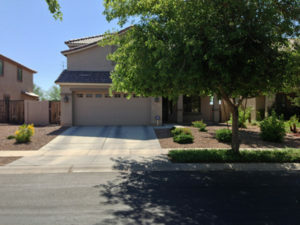 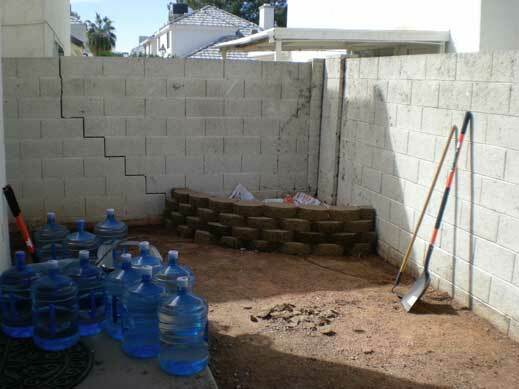 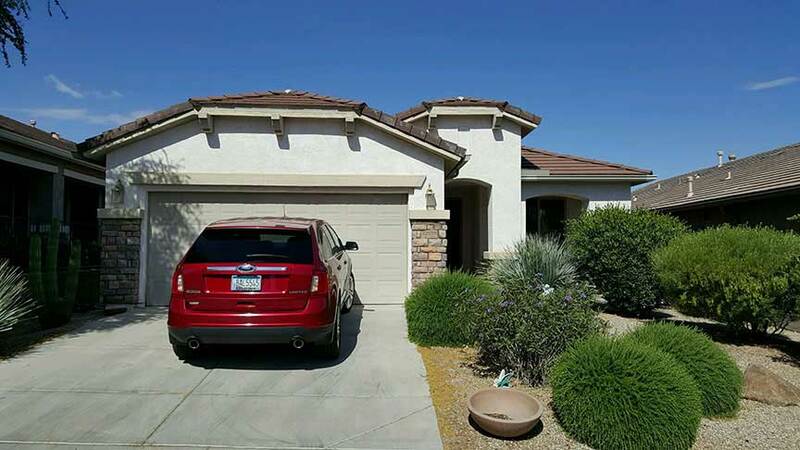 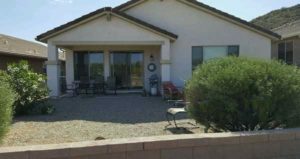 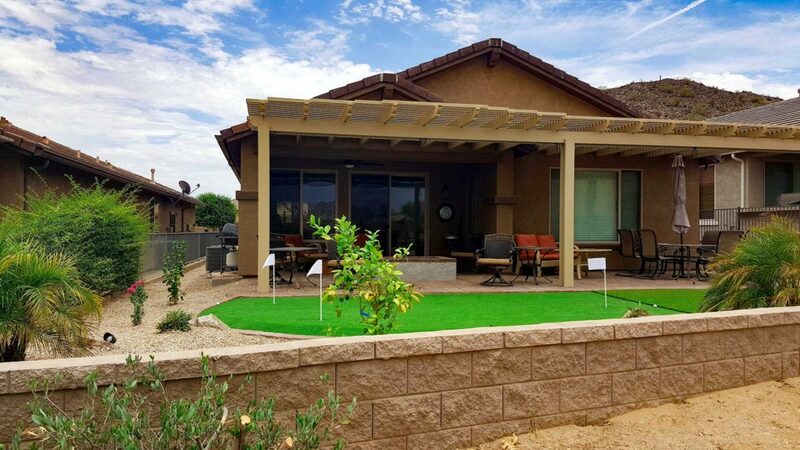 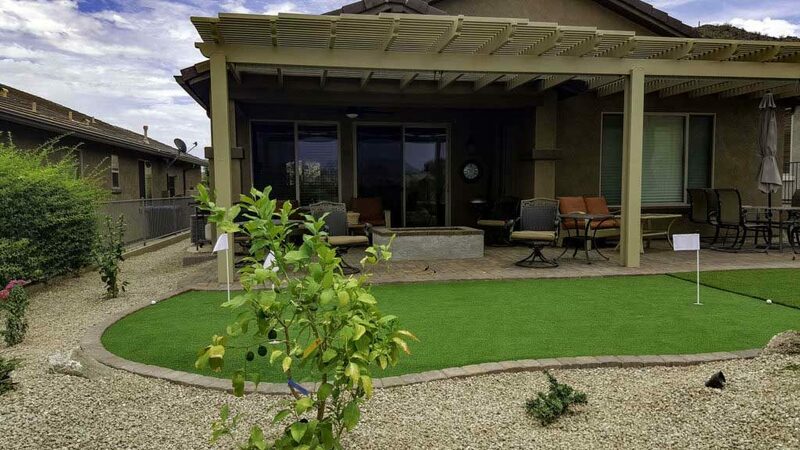 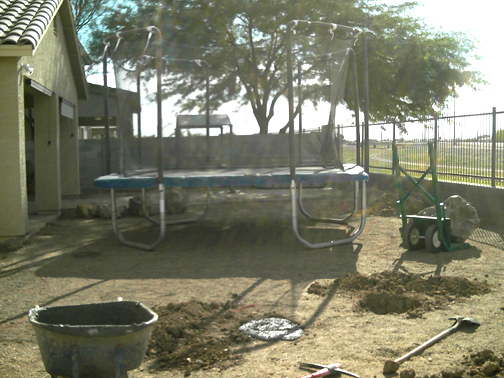 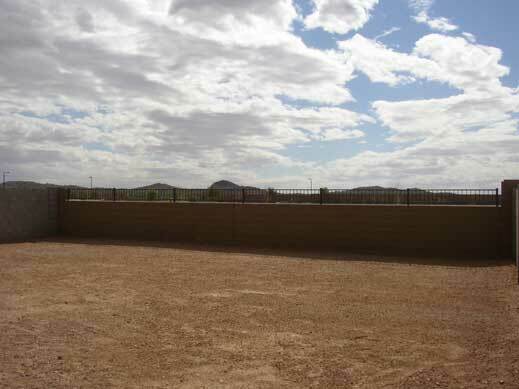 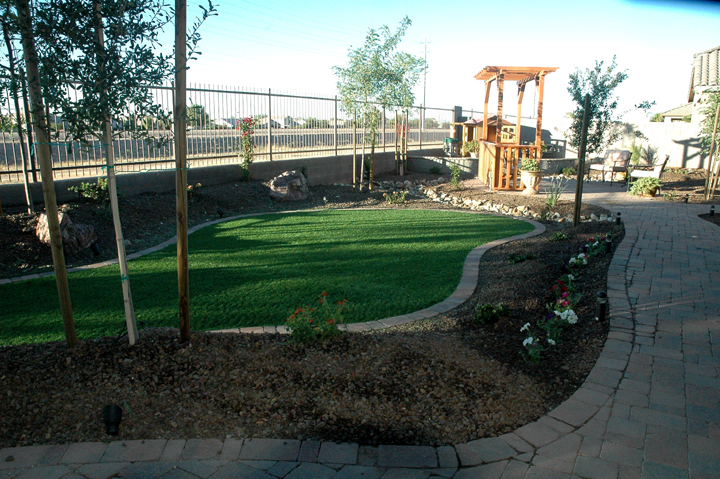 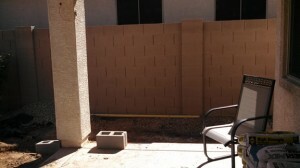 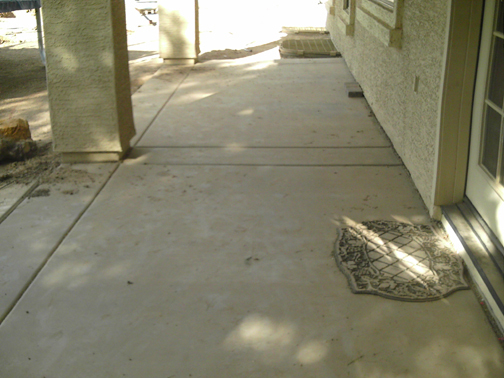 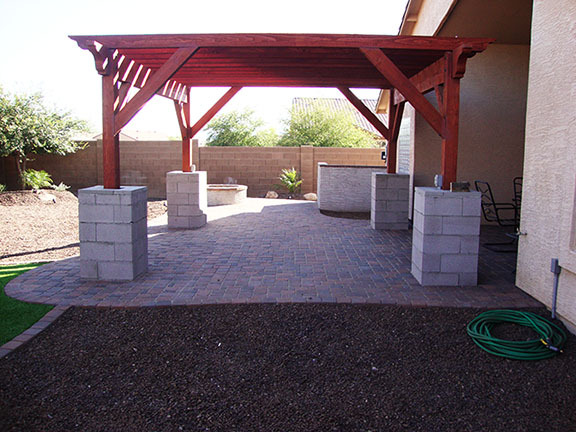 Arizona Living Landscaping offers full service landscape design and installation. 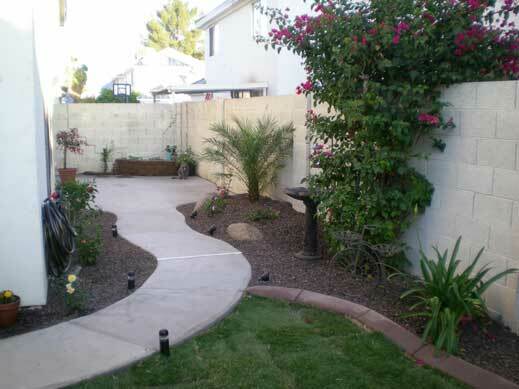 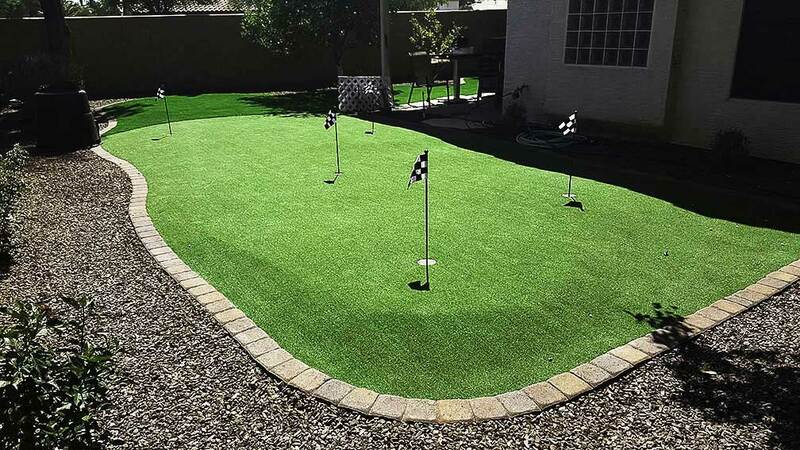 We can landscape a new yard or do a complete yard revamp/remodel on an existing yard. 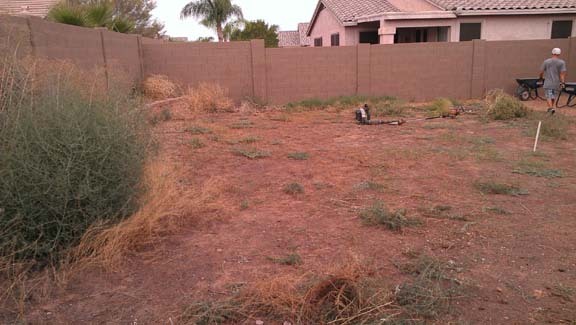 Are you tired of the old landscape you have been living with for years? 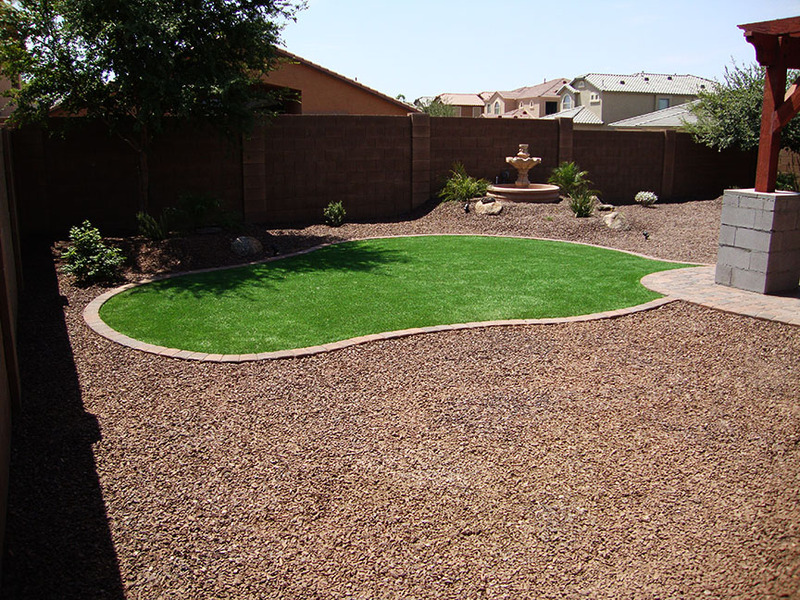 Ready for the yard of your dreams or did you purchase a house with an ugly yard? 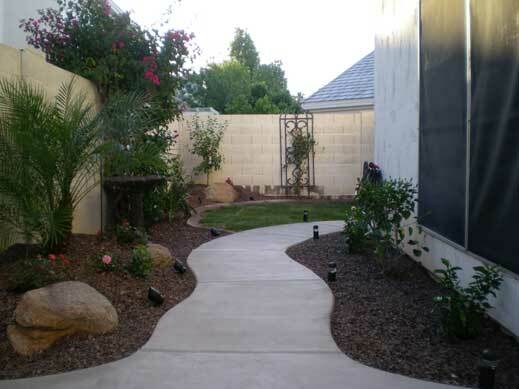 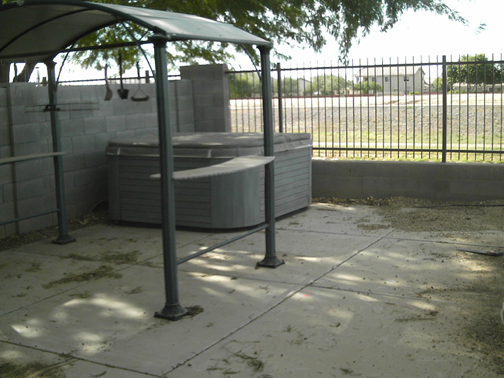 Call us for a unique, custom and affordable solution to your yard revamp or remodel. 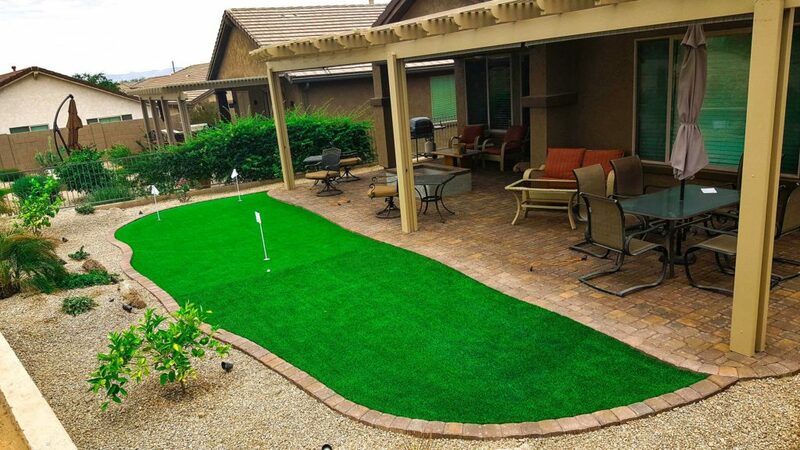 Start enjoying your yard again. 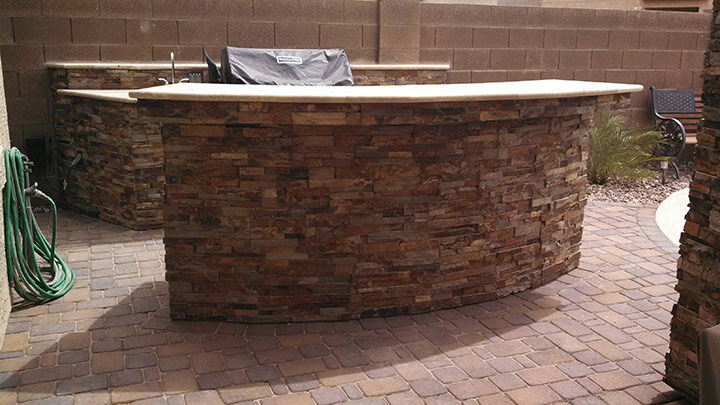 BBQ and bar before we added cultured stone and travertine top counter. 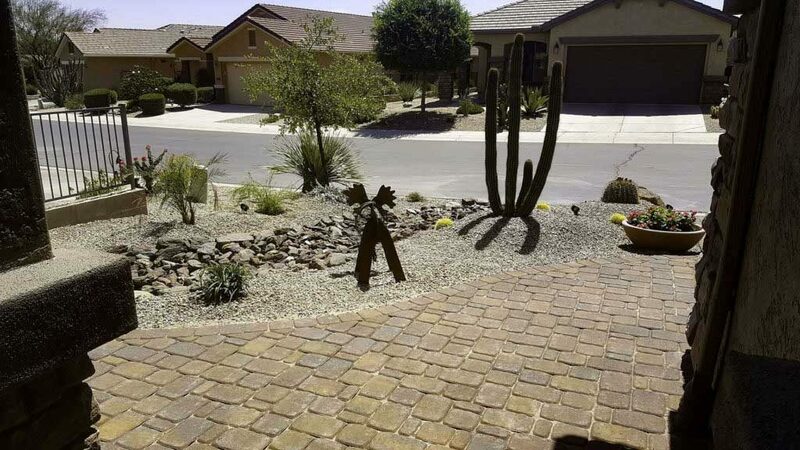 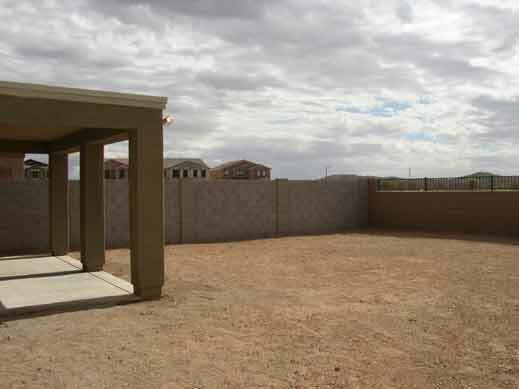 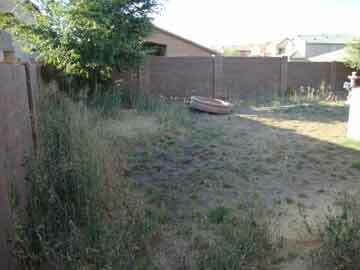 Arizona Front yard desert landscape after revamp. 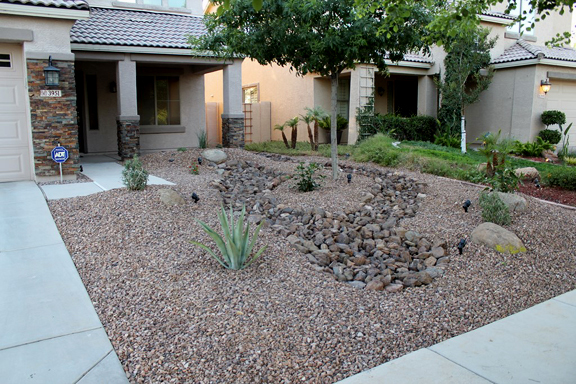 We installed new rock, riverbed, new plants, and cultured stone on the house. 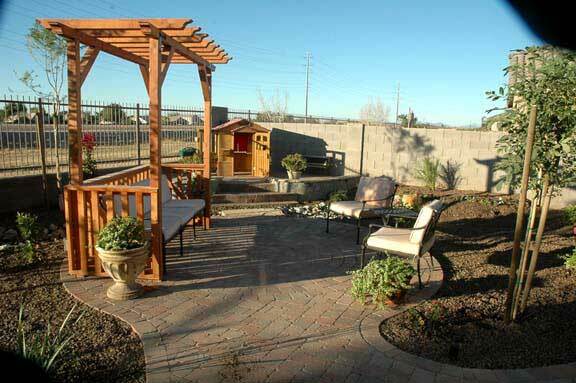 Backyard Patio after landscape. 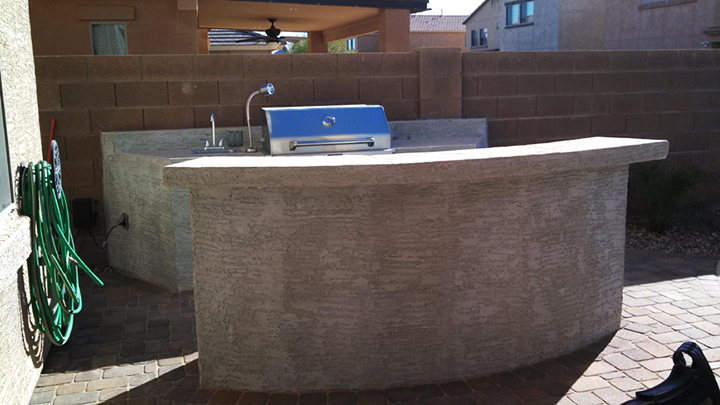 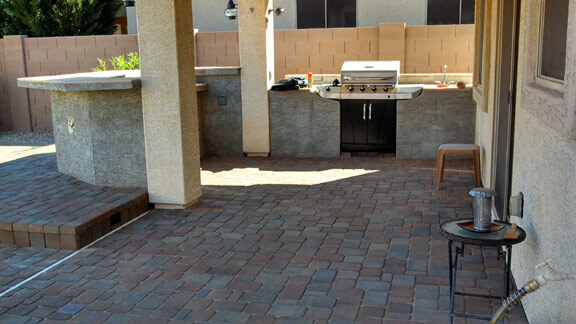 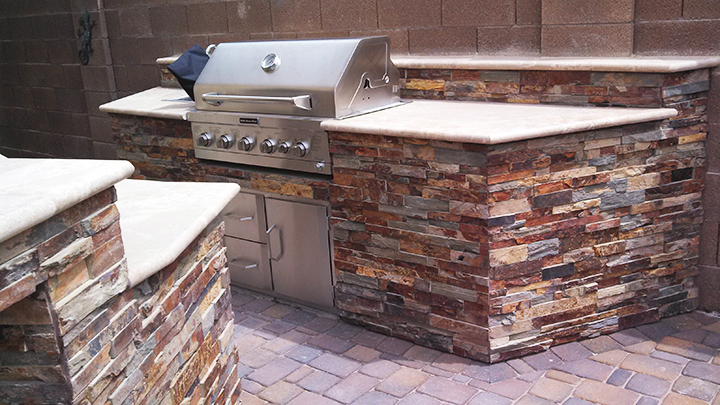 We installed a built-in BBQ area and a bar area with seating on the outside, a counter area, and sink, with a paver patio. 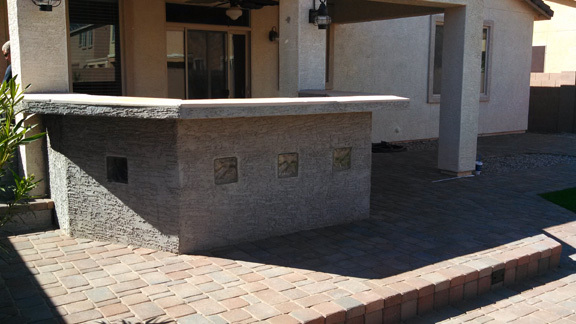 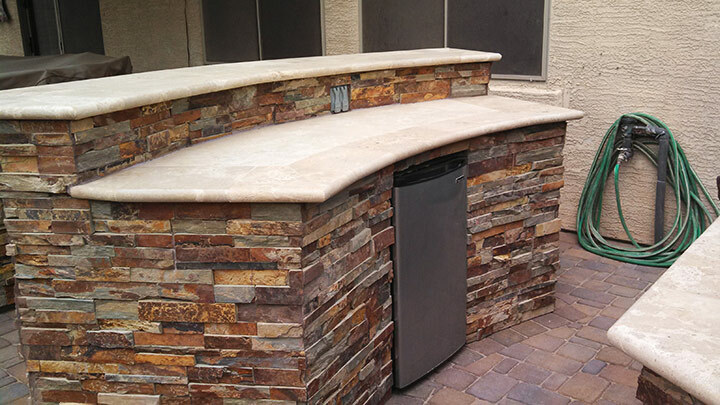 Outdoor Bar with raised patio seating area in pavers. 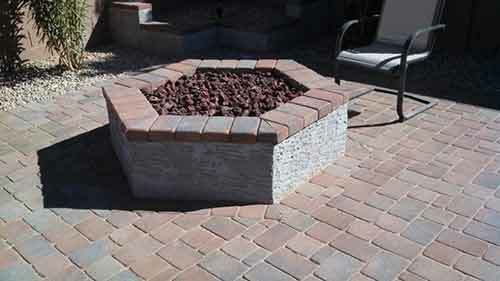 We installed a gas fire pit with a paver patio seating area. 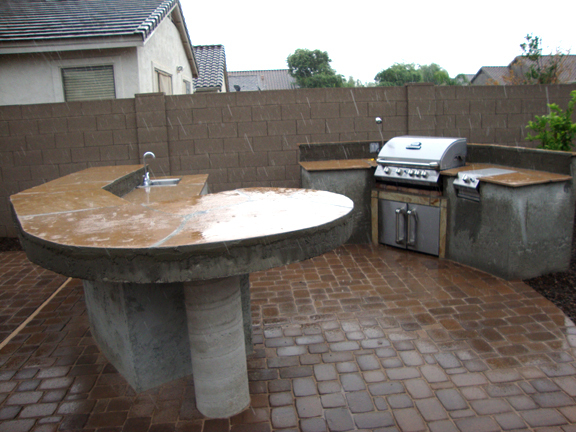 Built-in BBQ with bar, sink, fridge and electric.